Srinagar: The onset of Autumn, perhaps, the loveliest season, in Kashmir is when green turns to gold and then to russet and red. 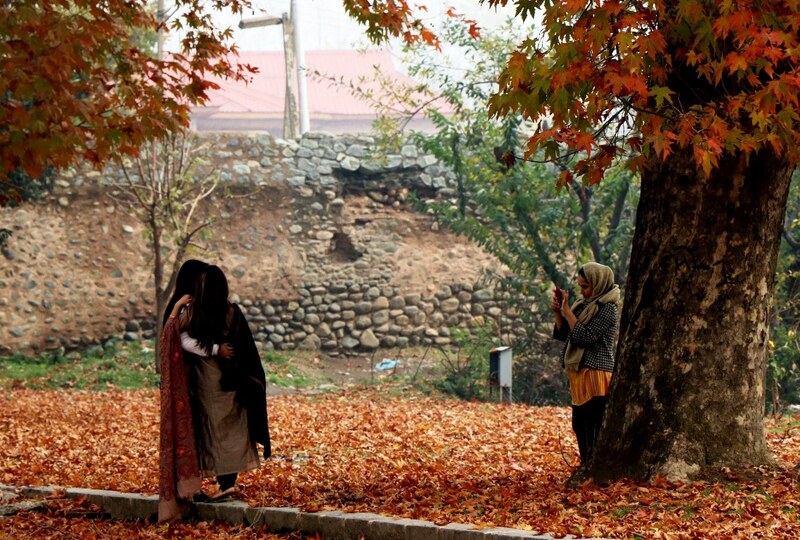 Autumn- also known as Harud in Kashmir, is the annual harvesting season in Kashmir. As the leaves in the valley turn yellow and golden, the farmers return to their fields to harvest paddy and saffron and pick various varieties of apples for export. But now, the autumn in Kashmir has passed and the chilly gusts of winter have started. In Kashmir with the onset of autumn, the allover landscape has developed multiple appearances. 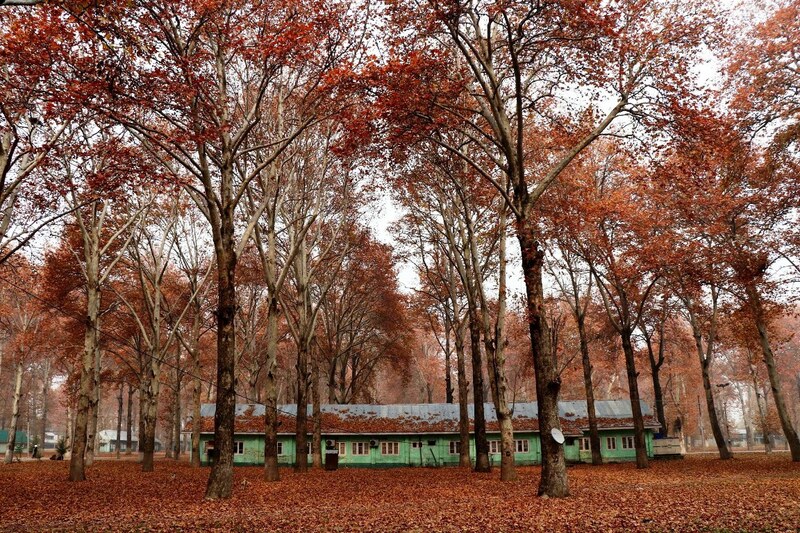 It has made the sun mild, brought a chilly mist into the air and denuded most trees, including the mighty Chinar trees. 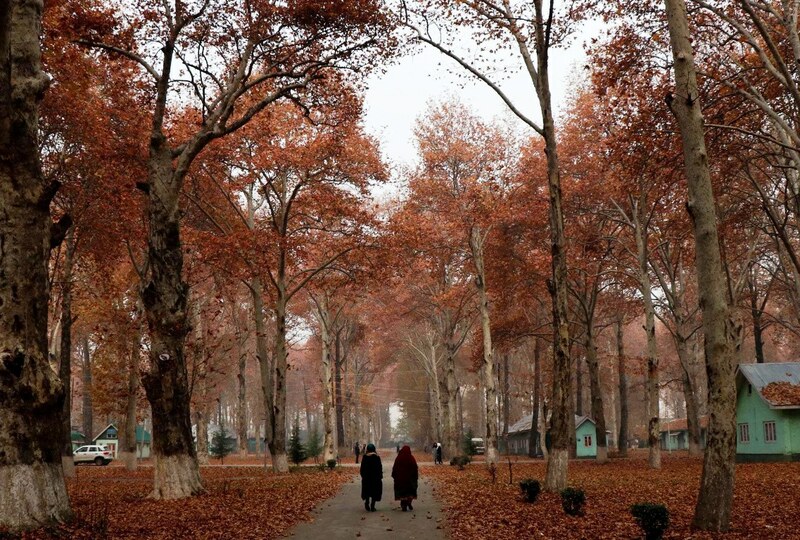 Walking down the streets, one cannot miss the rustling sound of leaves from the famed Chinar trees breaking the silence. 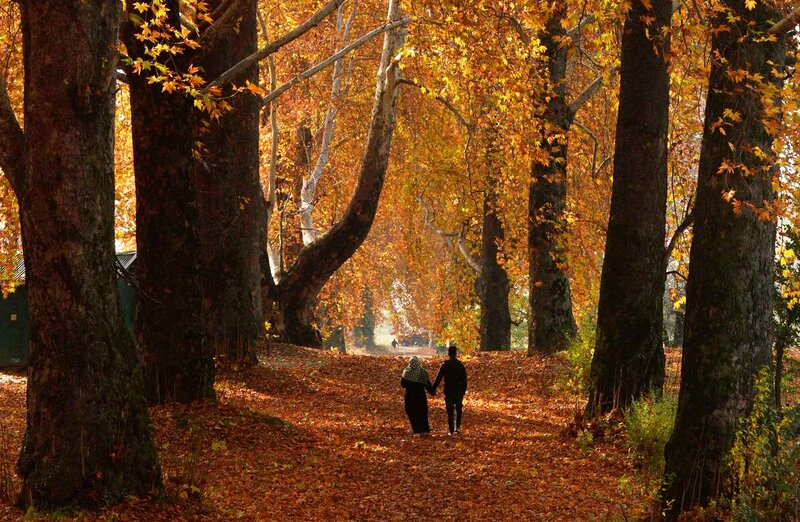 The majestic Chinar trees of Kashmir grow as tall as 25 meters, with a girth exceeding 50 feet in some cases. Walk around Srinagar during this season and you can find Chinar leaves, in different bright colours, twisted and curled by the vagaries of the summer. 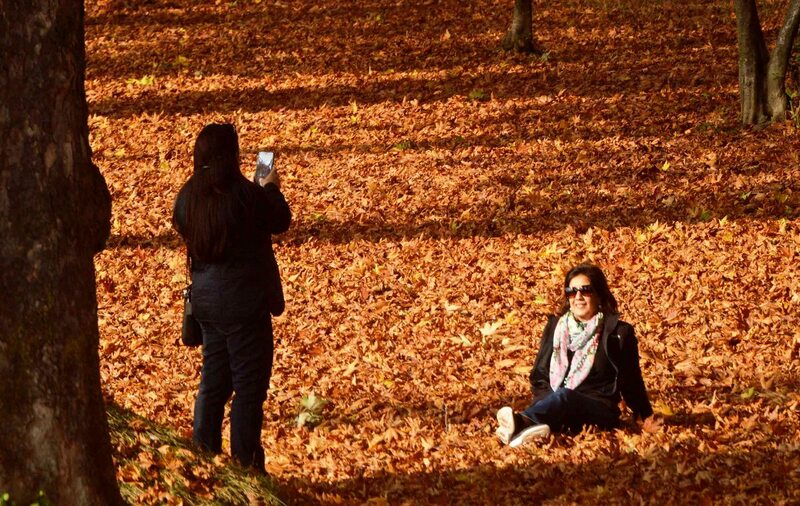 The shedding of Chinar leaves, locally known as Buen, marks the onset of autumn and sets off a process of change in the Valley every year, with people wearing woollens and changing their food habits to suit the weather. An inside view of Nishat Bagh Srinagar during the autumn season on Monday, November 12, 2018. A couple walks on the fallen leaves of the Chinar tree at Nishat Bagh in Srinagar during the Autumn season on Monday, November 12, 2018. A view of Kashmir University campus Naseem Bagh in Srinagar during the autumn season on Monday, November 12, 2018. Women walk under Chinar trees during autumn season inside Kashmir University Campus at Hazratbal Srinagar on Monday, November 12, 2018. 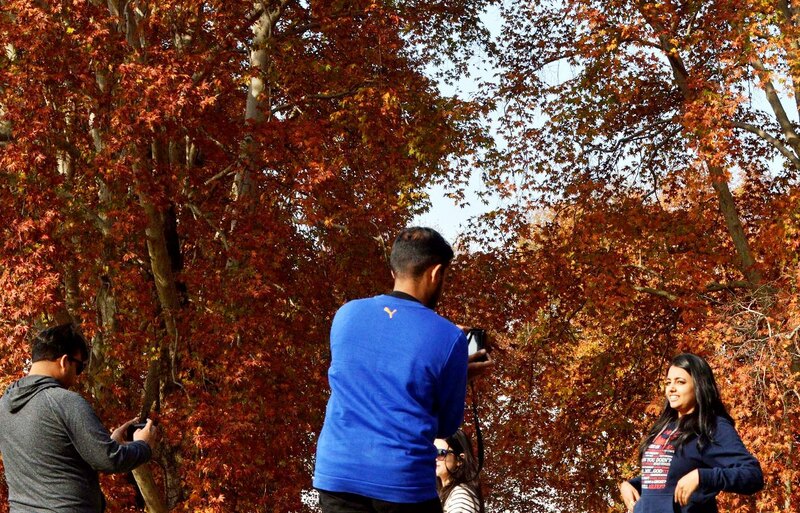 Tourists enjoy by taking pictures under chinar trees at Nishat Bagh in Srinagar during the Autumn season on Monday, November 12, 2018. 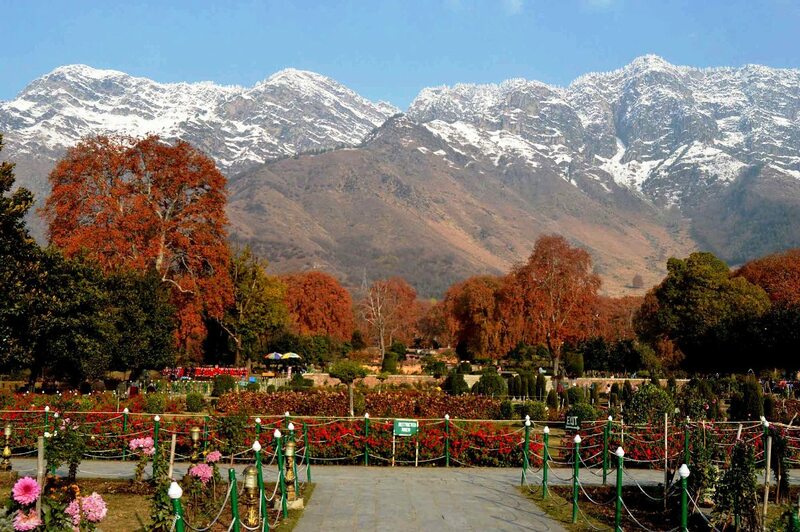 A wide view of Nishat Bagh during an autumn season on Monday, November 12, 2018. 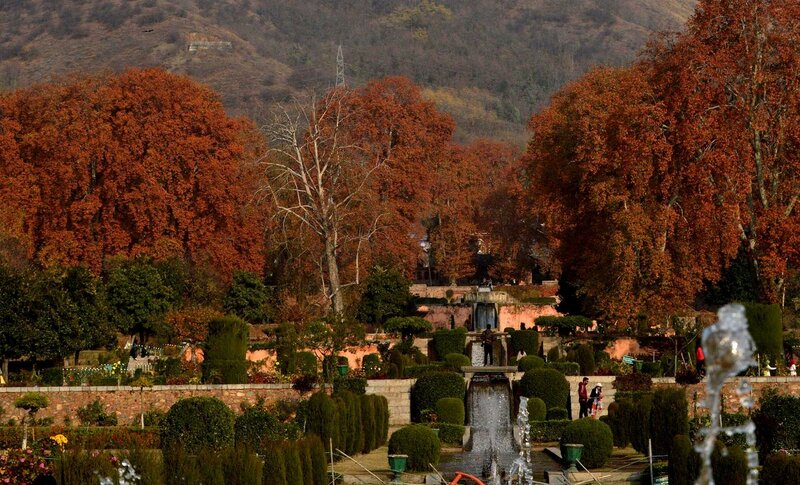 Native to Persia, Italy, Belgium, America and Greece, chinar trees were planted on a large scale across the length and breadth of the valley by Mughal emperor Jahangir during his reign from 1605 to 1627 though the origin of the plant in Kashmir is believed to be much earlier than the Mughal period. Later rulers declared it a protected tree as it became a symbol of Kashmir’s heritage and beauty. Previous ArticleWhy I Am Still Waiting For My Militant Brother?